Forget garlic breath. Get all the good stuff garlic has to offer without the odor with Garlic Pro from TonicSea. Garlic Pro is odorless, certified bioactive and made of 100% allicin to help support the natural defense systems of the body. The result of a unique patented process, Garlic Pro provides garlic's active ingredient, allicin, in a real, 100% pure yield for high-quality support. This process also delivers all the beneficial allicin derivatives, ensuring you get ALL the good stuff garlic has to offer. 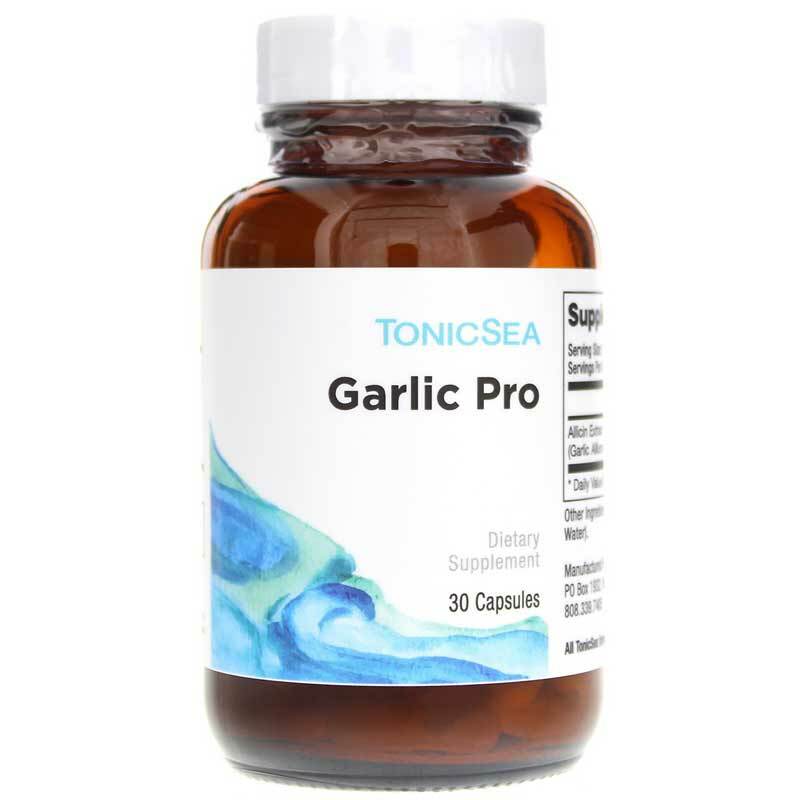 TonicSea uses fresh, raw garlic for its Garlic Pro, specifically selecting garlic heads to ensure they contain significant enzyme activity from the allinase enzyme. Get the real deal without the bad breath. Order Garlic Pro today. 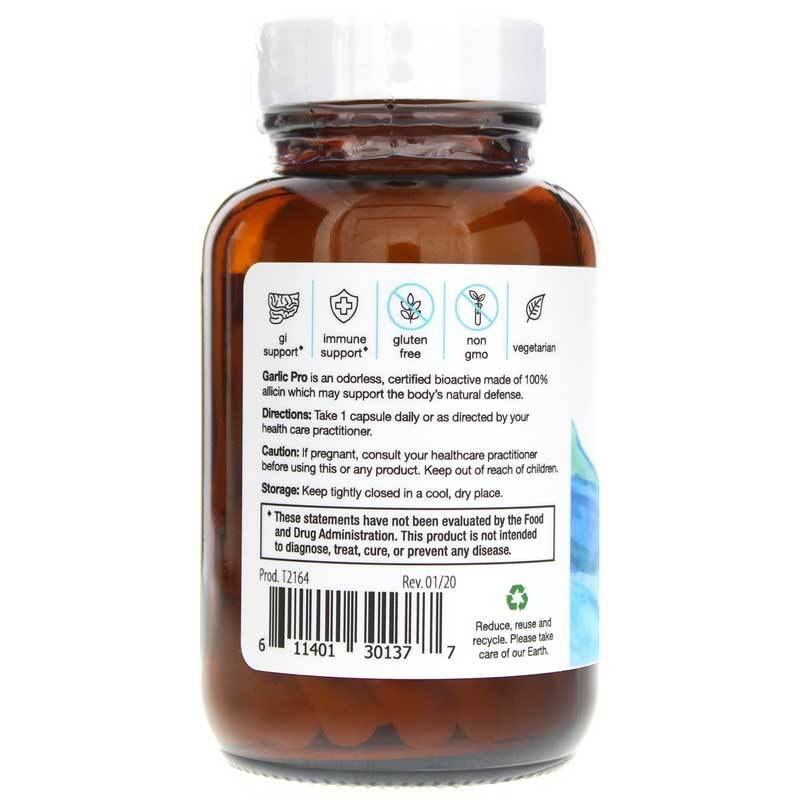 Other Ingredients: vegetarian capsule (hypromellose and water), maltodextrin (non-GMO) and plant cellulose. 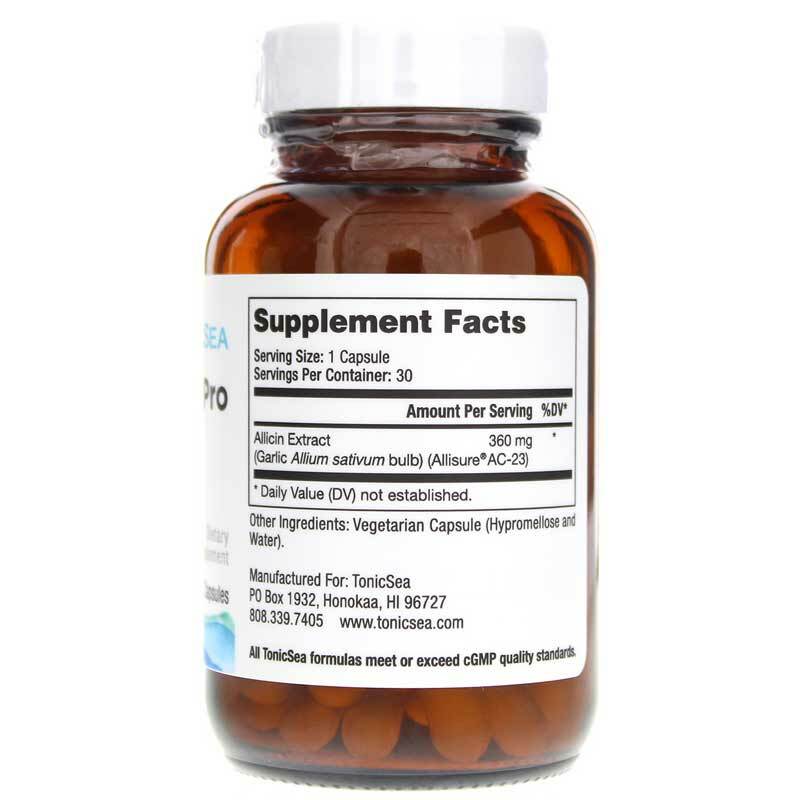 Contains NO: gluten, wheat, yeast, soy, sugar, dairy, artificial flavors or colors.